Bangalore: St Albert’s College in Kochi received a letter last month from Mahatma Gandhi University in Kottayam, denying its autonomy request. The college—a 62-year-old institution offering graduate, postgraduate and doctoral programmes in arts and sciences—has been fighting a court battle since 2005 with the university, to which it is affiliated. St Albert’s is not alone. Kochi-based Rajagiri College of Social Sciences says it is in the same boat. It, too, is struggling for autonomy through rounds of litigation. Kerala might be India’s most literate state, but it has no autonomous institutions that enjoy the freedom to follow their own admission rules, set curriculum and prepare examination schedules free of government or affiliate university interference. At issue, besides universities giving up some control, is whether academic autonomy will lead to financial autonomy. The University Grants Commission (UGC), the Central body that oversees universities, says autonomy is only about academic matters. UGC can award autonomy to colleges only if the affiliate university agrees. Universities and state governments want to keep colleges under their control ostensibly out of concerns that autonomy could lead them to charge exorbitant fees and short-change students by not providing them adequate infrastructure. 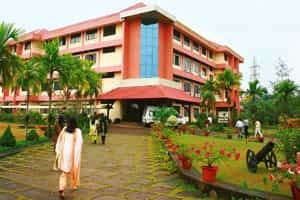 Critics say side-effects are delayed examinations, out-of-date syllabi and more students leaving Kerala for higher education. The state’s seven universities are now burdened by having to manage at least 2,000 educational institutions affiliated to them. Kerala isn’t alone. According to UGC, as of March 2006 (the latest data available on UGC’s website), only 12 of India’s 28 states and one of seven Union territories have, among them, 217 autonomous colleges in their fold. Kerala has seen statewide protest rallies by faculty and legal battles in favour of autonomy. As many as 99% of autonomous colleges in the country are doing academically better than non-autonomous ones, according to Anantha Krishnan, former chairman of the Madras Institute of Development Studies, which researches development-related problems. Autonomous colleges, if run well, have better quality standards and offer rigorous training and testing. “Employers also prefer students from autonomous colleges rather than non-autonomous ones," says Krishnan. St Albert’s College principal Robert Stanley says the National Assessment and Accreditation Council, which assesses and accredits institutions of higher education, had recommended the college for autonomy years ago. “We have forwarded our request to the UGC," Stanley says. But while UGC is willing to grant autonomy to colleges such as St Albert’s, the affiliating university controlled by the state government is not. Jancy James, vice-chancellor of Mahatma Gandhi University, says Kerala’s Left Democratic Front government “is not in favour of granting autonomy to any individual institution". “We don’t have a statute to grant autonomy," she says. The university’s academic council, an 80-member body consisting of the heads of institutions and professionals, have to amend the university’s statute to make provisions for granting autonomy. Kerala’s secretary of higher education, Kuruvilla John, however, says the government has no problem, in principle, with granting autonomy. “...but colleges tend to indulge in irregularities...so where do we draw the line?" he asks. John was referring to the scores of self-financing colleges that have mushroomed in Kerala—just like in Karnataka, Tamil Nadu and Maharashtra. The state wants to ensure that these colleges, which are accused of irregularities in admissions, follow Supreme Court norms spelt out for them, before granting autonomy to others. While most states have welcomed autonomy, some such as Kerala have been holding out, says Sukhadeo Thorat, chairman of UGC. “States usually like it since it is a recognition for them; autonomy is only given to good colleges," he adds. While there is no specific data available, students leave Kerala to study in other states, and in droves. “When standards...go up in outside colleges, parents prefer to send their children outside," says Khader Mangad, chairman of the academic committee of Kerala Private College Teachers Association. The association has been holding statewide rallies demanding autonomy for government-run and private aided colleges.